This first 3-hour section of this package will cover every significant change selected by the IAPMO companion publication to the 2015 UMC (2015 Guide to Important Changes) as well as a few critical changes overlooked by this publication from the first four Chapters and from Chapters 6 through 10. In order to makes each change presented in this class as clear as possible, the code language will be presented, clearly showing what text has been removed from the 2012 edition and what text has been added. 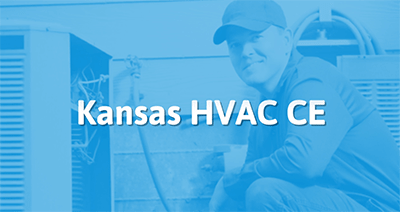 The reasons behind the change and what the change was intended to accomplish as clarified by the Technical Committees will be discussed along with how the change affects a working HVAC mechanic. By the end of this course students will be able to better navigate the updated codes in the 2015 UMC, employ enhanced safety practices on roofs and with ducts and boilers, comply with the latest provisions on condensate, vent offsets & air circulation, adopt new air recirculation classifications & new absorption unit protocols, and understand the intent as well the specifics of the revisions made to the 2015 UMC, in order to better explain, supervise, and coordinate with building officials. In order to makes each change presented in this class as clear as possible, the code language will be presented, clearly showing what text has been removed from the 2012 edition and what text has been added. The reasons behind the change and what the change was intended to accomplish as clarified by the Technical Committees will be discussed along with how the change affects a working HVAC mechanic. By the end of this course students will be able to approach the complex considerations regarding exhaust systems with the latest codes and methods, employ enhanced safety and efficiency strategies for exhaust systems, effectively navigate the heavily revised codes on hydronics, provide the highest level of service to customers interested in hydronic heating, and understand the intent as well the specifics of the revisions made to these two key Chapters in the 2015 UMC, in order to better explain, supervise, and coordinate with building officials.